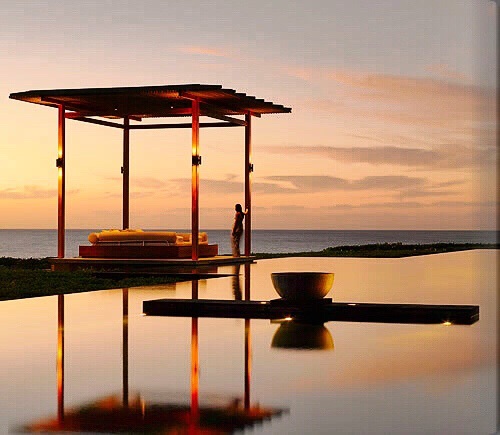 Amanyara is a secluded haven embracing unspoiled, untouched elements of the Carribean. 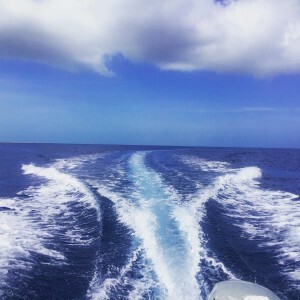 It borders the pristine reefs of the Northwest Point marine National park, acclaimed for some of the world’s best wall and reef diving – but stood out to me as the clearest, richest, calmest waters I think I will ever see. I could see my toes glistening back at me through the waters. I could see my tanned legs reflecting back at me through the water’s surface. I could see the white sand twinkling as I dug into the soft cushioned floor beneath me in the sea. Here was ultimately, a white, blue and turquoise corner of heaven surrounded by the contemporary, cool pavilions of Amanyara. The pavilions make up not only the 36 guest houses, but also the architecture around the pools, dining rooms, and receptions in the resort. You will find a stunning setting wherever you look; there are pavilions situated on the edge of tranquil ponds with timber sun decks extending over the water, as well as those positioned a;long the ocean front with views of the sea, elevated above the waterline, with pathways leading to the rocky shore. The most mesmerising pavilions, for me, were those forming a square around the bar and restaurant. Returning from dinner one evening, we heard a voice that we could only coin as a cross between Jewel’s and Norah Jones. Taking us back to our Dawson’s Creek years, we followed the voice and found ourselves at the bar lounge, which had seated areas with shutters which opened up to a view of the pavilion square, overlooking the ponds that they were set upon. Mirrored upon the surface of the ponds, were the reflections of everything – the pavilion, the luscious green trees, ourselves, and the source of this magical voice. Their in-house singer, who performs acoustic songs every Saturday evening, sat across the pavilions, whilst we sat on the couched loungers, drink in hand, chessboards or board games at our disposal, and total tranquility surrounding us. Our room, an Ocean Pavilion, over looking the sweeping views of the waters ahead, was beautifully presented. Top to bottom in glass windows, you can draw down shutters by night, and enjoy the sweeping views and unfiltered light by day. The most beautiful addition however, was creeping down an untouched rocky pathway in front of our pavilion, to find the formation of a natural cove, providing ultimate privacy right into the foot of the sea, and a spectacular secret spot from which to marvel come sunset. The (main) Restaurant provides both indoor and outdoor dining. Al fresco dining takes place on a terrace with tables shaded by two large trees, while the indoor air-conditioned area opens onto a balcony with views across the reflection pond. The menu features classic Asian and modern Mediterranean dishes with an emphasis on fresh seafood. Let me take you through our breakfast experience first. With a high fixation on caffeine overdoses, wherever I may be in the world, I skimmed through the menu for the coffee list. Here, I spotted the Luwak Coffee. At $38 a cup, it refers to the coffee that includes part-digested coffee cherries eaten and defecated by the Asian palm civet, which I thought was a goat, Wikipedia tells me is a member of the cat family, and photos evidence that it is a hybrid between a raccoon and koala bear. Never mind that though, this coffee is meant to be improved by the digestion process which supposedly enhances the flavour profile. I can absolutely tell you, it does not. As a coffee lover myself, I struggled to gulp through my expensive glass of cat-family faecal matter, but my facial expressions did seem to provide amusement for the staff and our fellow breakfast diners, so feeling the good corporate citizen, was my reward. The breakfast at Amanyara is full, plentiful, and spoils you for choice; the food fresh, organic, and where possible, locally sourced; the cooking style light and healthy preparing you for the day ahead with renewed energy. Located on a dune above Amanyara’s white sand beach, the Beach Club provides an informal dining venue throughout the day, and was my favourite dining option, if only for the turquoise view ahead, and t he incredibly friendly staff on board (as we gave our thanks for a beautiful dinner on our first evening, Gerlie, who is just as sweet as her name implies, leaped forward and hugged me after looking as though she’d been debating it for a full few seconds). 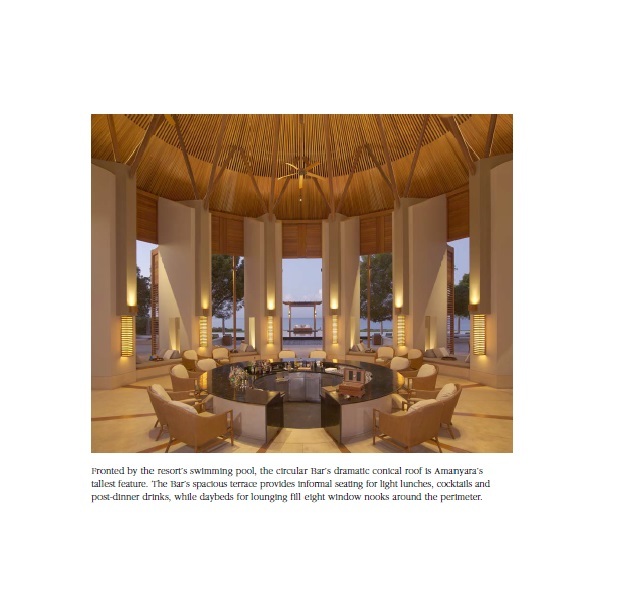 Seating choices include the elevated interior, the bar front and the expansive timber deck. The simple grill menu combines the flavours of Asia with casual beach fare. 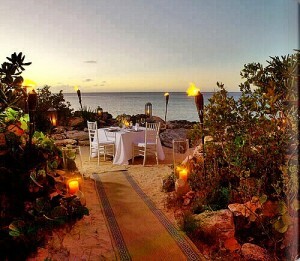 For added romance – it would take a very rare strain of insecurity to require any further romance or display of it, in these surroundings, but nonetheless – private dining can be enjoyed in the Ocean Cove, with a specially lit bonfire to amplify it’s harmonious surroundings. An absolute must is the zesty, refreshing gazpacho served by lunch time, which we almost guzzled back like water, in the heat. 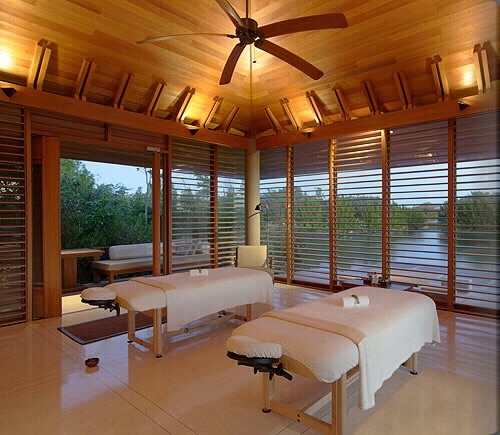 Amanyara’s Spa is spread over 6,000 square metres, overlooking a large reflection pond and lush vegetation. Featuring four double treatment pavilions and a reception and relaxation pavilion, the Spa offers a variety of massages, wraps, scrubs, facials and beauty treatments. Our full body massages by highly skilled masseuses Luis an Ari were celestial. I always have a male-masseuse bias, as I just simply believe they’re going to be better with their hands! So when Luis asked me ‘medium pressure or firm’ I knew I should have given the safe response of ‘medium.’ ‘Firm please!’ I piped up, and moments later was fighting the tears, and biting my pride, as there was no way I was going to be defeated by the incredulous pain of the pressure he was applying. There is certainly pleasure in pain however, as I emerged from the massage as a little bundle of soft bones, feeling completely undone, unwound, and demystified. Not for the faint-hearted, but certainly one of the most exquisite massages you will ever be treated to – this is not a feature to miss during your stay. The Spa also offers an outdoor yoga sala for morning yoga sessions, as well as private yoga or Pilates sessions. Two floodlit Har-tru clay tennis courts are overlooked by the Fitness Centre which offers a range of cardiovascular equipment and resistance training machines. A personal trainer is on hand for private session, and after a workout, guests can cool off in the Spa’s 10-square metre swimming pool. 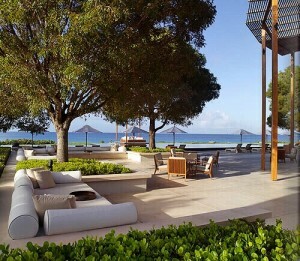 Just steps from Amanyara’s entrance pavilion lies Malcolm’s Beach. 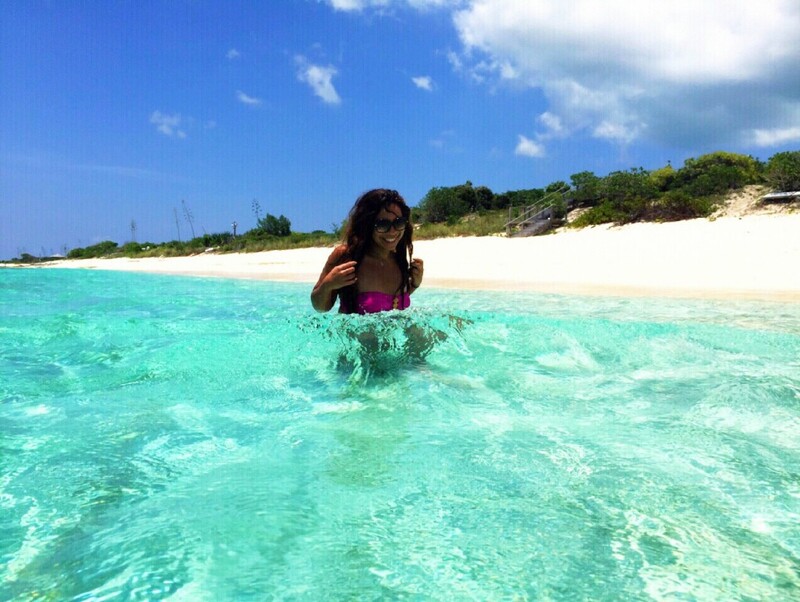 One of the island’s most secluded beaches, its soft white sand stretches half a mile along the coast. 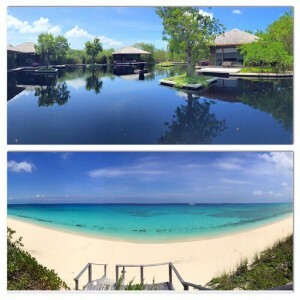 Amanyara’s Beach Club and Nature Discovery Centre are located at the southern end of the beach. Water sports services are provided from the beach throughout the day, and we were driven out by speedboat to the most beautiful coral reef for an hour or two of snorkeling. Our guide completely gave up on us, after realising we were more concerned with making our underwater iphone-cases work and mumbling in frustration through our mouthpieces that the camera had been on reverse the entire time we were snapping underwater, and so I had effectively managed to take 45 photos of my chest, as opposed to my friend gallantly gliding among the fishies – but once that was out of our system, we swam tirelessly following the colourful stream of tropical fish which are abundant in the reefs here. Truly a pacifying experience – do not underestimate the fun and relaxation and hour of snorkeling in these perfect waters will afford you. 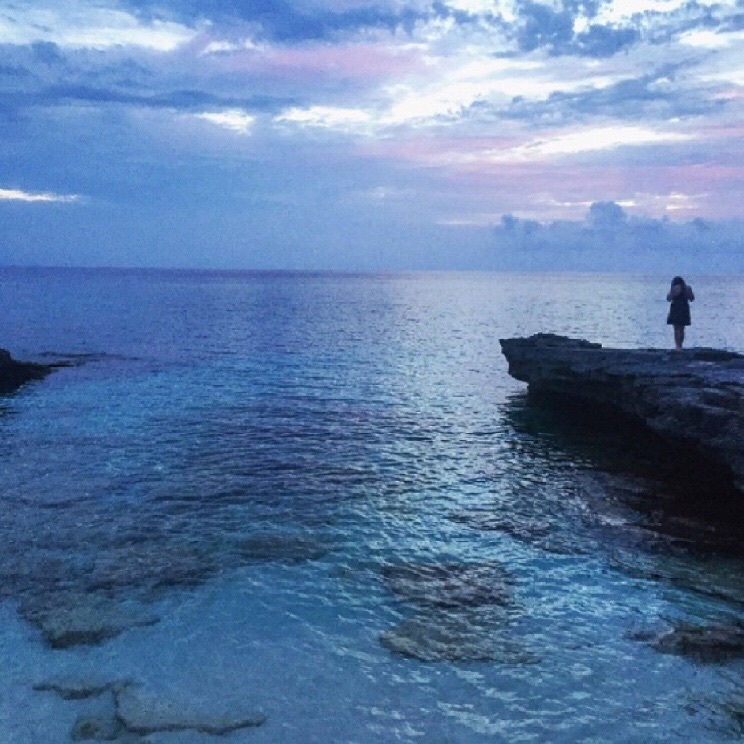 If you visit Amanyara my advice is to set sail, go turtle tagging, scuba dive, explore! 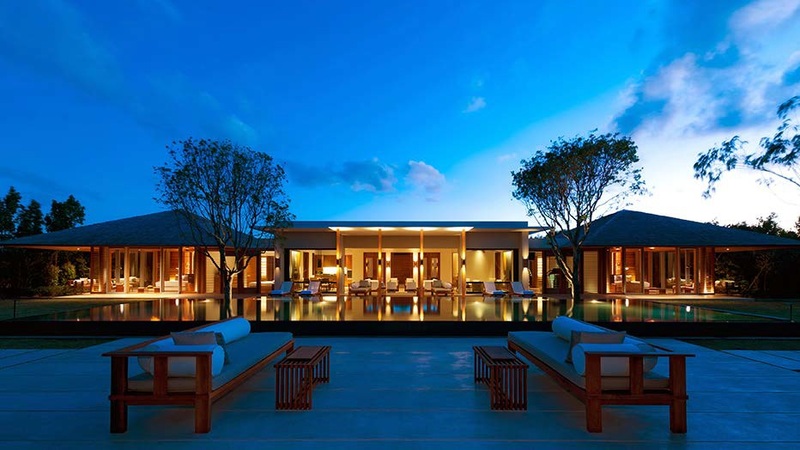 This pinnacle of luxury is also a haven for unadulterated fun – I am aware most will visit on their honeymoons and anniversaries, I am aware most guests will be established, and perhaps older, but what is life, if you’ve all the beauty of Amanyara at your fingertips, and you don’t unleash your inner child, in all their awe. So I urge you to unravel all your inhibitions, embrace the excitement that will spell over you on arrival, and dare, dream and discover, during a stay at Amanyara. The place and food are great. Got it. I suppose those would be the basic things to mention about a hotel or resort. But being me, I’m all about the activities. What are the fun stuff to do there? I read on and finally found something that would make my future stay in that place worthwhile in my book – turtle tagging! Thank you for mentioning that! If I had money to travel the world, this would be one of the first places I’d go. It’s just too beautiful and I’ve always dreamed to swim the carribean waters. Thats really grand to have everything under one roof, technically under the largest built hotel! The acclaimed best reef diving, malcolm beach, world class food, the list is never ending. The waters sure looks serene and peaceful. I want to go here for some alone time, to find myself and all that. I have to take extra time believing in it all, after reading your blog about such a dream hotel. I am still amazed its all really true! If it is, it is indeed another wonder made on earth by humans. 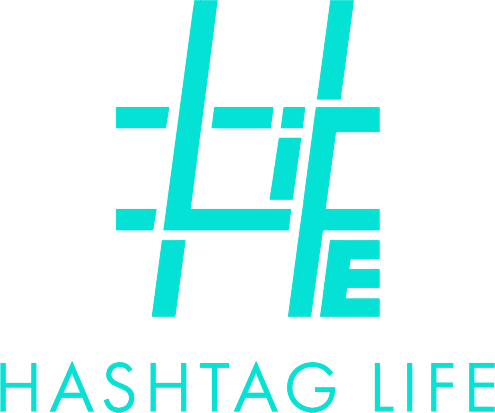 Tell me about it. This is absolutely amazing! Im a coffee lover myself so thabk you for mentioning your experience. If ever I’ll find the money to go here, I wont try their coffee. Never mind being a good citizen, coffees are my life! 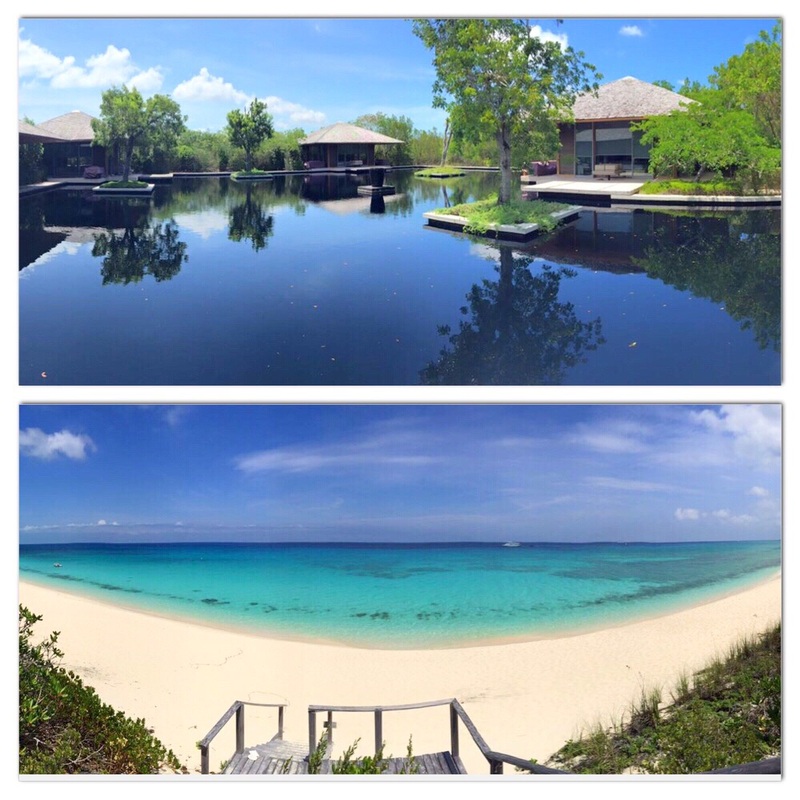 Different place and experience when you are at Amanyara. SPA – not to avoid because offers a variety of massages. Spa offers an outdoor yoga, too. Which is best and worth to try it the morning session. This place reminds me of a resort that I went to Thailand. The one in this review just has a more western ambiance. I would like a vacation there someday. 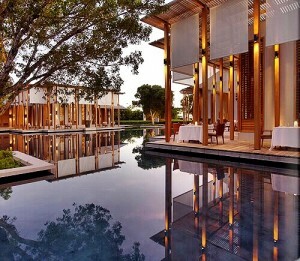 Amanyara is a place beyond imagination, atleat beyond mine . It would be better if you also include expenses one may incur in general, as it will help people like me esp to get little idea about how much pressure it can have on our pockets. Seriously I wanna book me a flight right here right now. This place is amazing! Because of you and this post I’m going to have to start saving up now! Amanyara is now officially on my bucket list. The sooner the better. If I go here, I’ll never leave. 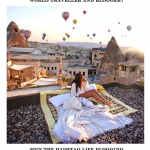 Stunning architectures and relaxing to look at too. I could live here forever. How I wish something like this alluring place found in Cebu, Philippines! It’s breathtaking. I am speechless seeing and reading your post! Stunning view, nice facilities and the beach is beautiful. This resort would definitely be one of my favorites. Hope to visit there soon. I will surely do all your suggestions. The place is so beautiful and breathtaking. Too bad with the reversed shots just set it up good next time! The beach looks so pristine. I am considering to go to Amanyara for diving. I can imagine myself relaxing by the infinity pool already. The view from your room is beyond amazing. Look at that view! This place is just perfect! No. PERFECT does not even begin to cover it! I would love to go here…do you have some raffle thingy for staycation privileges? What kind of place is this?So perfect. So pristine. So cool. The underwater experience must be something to look forward to when you go and visit this place. Not to mention the extraordinary service of this extraordinary paradise. White sand, clear still water… that’s for me. Luxury without wasting vacation time in the air. This is a wonderful destination! This place looks absolutely divine! I would love to take you up on your advice and go snorkeling in the pristine blue waters of Amanyara! Amanyara is a heaven.The beach is breath taking. This place looks glorious! I love the wide and spacious interiors, it’s got a very breezy feel to it. Plus, I’ve got a thing for floor to ceiling glass windows. 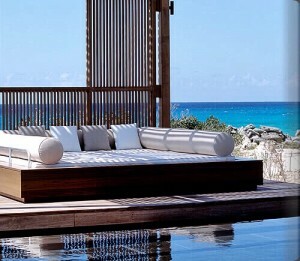 Amanyara is definitely going on my list. Turtle tagging sounds very fun! I will definitely visit if I finally go to the Caribbean. 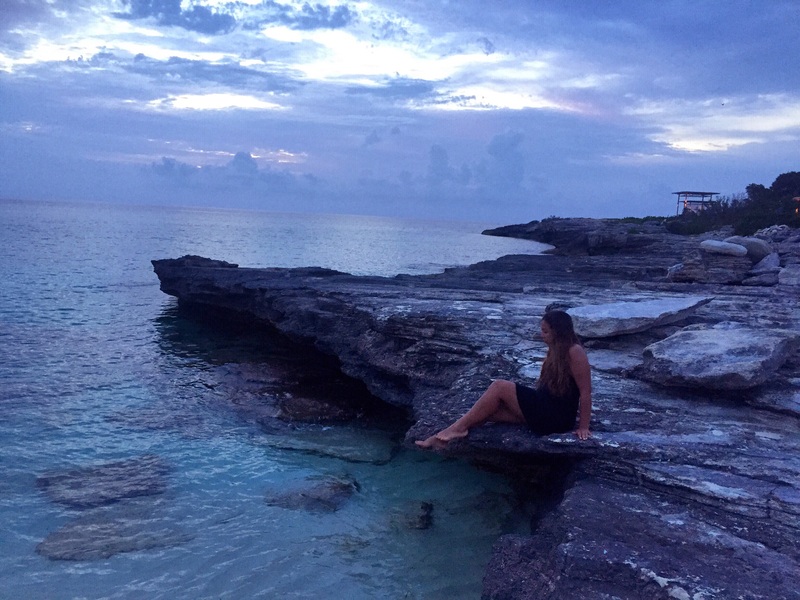 It seems like a all in one destination where i can enjoy spa, incredible massages, diving through clear water, and enjoy the best atmosphere and surroundings ever! The entire review of the place makes it seem all so amazing, not that it isn’t. The writer has quite a talent in making readers feel that way, and that skill is by no means easy, but she seems to make it look so. This place is a combined beauty of nature as well as luxury. Plus i have always dreamt of carribean love. Thanks for opening up a new world for me! Seriously the most beautiful beach I’ve ever seen. And Amanyara is the most beautiful resort ever. 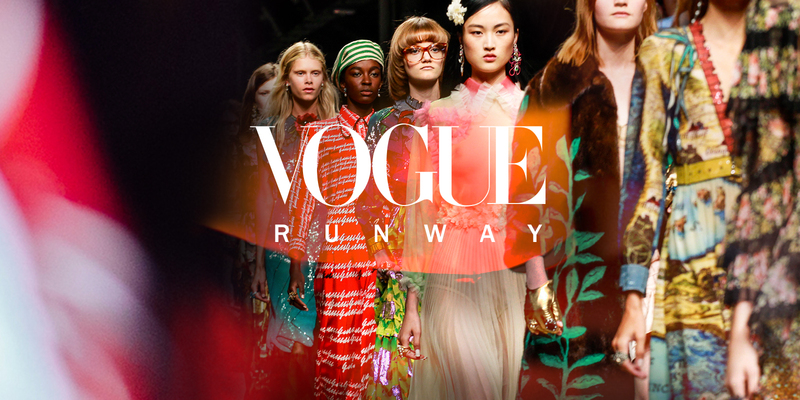 Definitely bookmarking this, thanks! I cannot believe this place! Been searching for holiday destinations and I think I’ve finally found it. Can’t wait to tell my husband tonight. Thanks for this! Wow! The spa! That’s about the biggest I’ve ever seen (or heard of, for that matter). I CAN TOTALLY LIVE HERE! 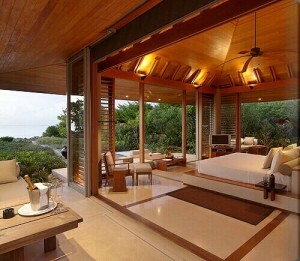 I would love to visit Amanyara and enjoy my life there just as you did. PS:- Never gonna try the coffee! Wow everything is so picturesque. I’ve always wanted to see the Carribean waters. Thank you for this! It is really amusing to read about you struggled with your underwater iphone case. I totally can relate! It is worth it, though, you’ve got amazing underwater pictures! What a paradise on earth! 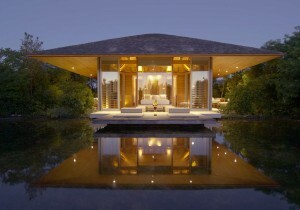 I wish I have opportunity to enjoy Amanyara.. Turtle tagging? Never heard before and it should be fun!